On early July 2018, I was bought a lot of the Mamonde's products from Hermo website. In this time, I would like to make the small review about the Mamonde Lotus Micro Cleansing Foam (175ml) with the normal price is RM 52.00. but I bought the Mamonde Pore Clean Care Set (RM 93.00), which are include the Micro Cleansing Foam (175ml), Pore Clean Blackhead Stick (18g), Micro Cleansing Foam (15ml), and Calming Hydro Sleeping Mask (15ml). 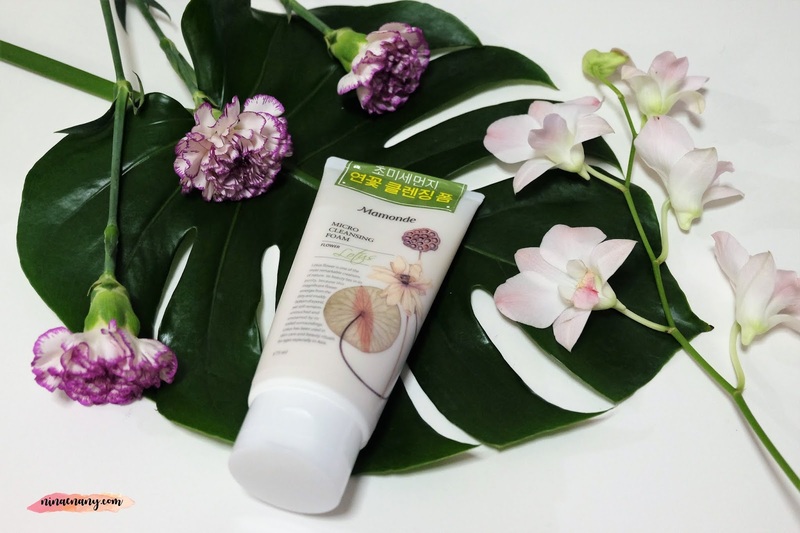 The Mamonde Lotus Micro Cleansing Foam is a hydrating, brightening cleansing foam that cleanses even the finest particulate matter (PM 2.5) while protecting the moisturizing factors of the skin to create healthier and brighter looking skin. The benefit is to maintain skin moisturizing factor and enhance the effect of the next skincare product; foamy cleanser that leaves the skin feeling smooth and supple; richly foamy bubble foams a moisture barrier to prevent drying the skin; and Lotus Anti-PM ComplexTM effectively eliminates skin's waste with high purifying functions. The packing is simple with the lotus and white color. It is nice. The scent is the nice and not strong scent to me. The texture is creamy to foam while you rub it together. I like my skin texture after using it for 3 weeks. My skin looks better and I also feel refresh after using it as the second step of double cleansing during the evening routine. I would like to give 4 stars out of 5 stars to this product.